With over 1 million songs and more then 76 million users, Pandora is the most popular music streaming service currently available and can be used for Free. The service allows you to search by genre, album, song or artist it will then predict the type of music you like and start playing it. This music matching technique is one of the things that makes Pandora so strong. The service is monetized with ads. 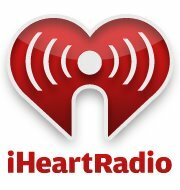 With 18 million songs, iHeart Radio is the second most used radio station based service with 48 million users. The service lets you listen to different music genres by subscribing to different stations, you can also listen to live radio and talk stations. The popular service available on iOS devices has over 37 million songs available and has been widely adopted since it first launched. Similar to Pandora, iTunes radio lets you skip a limited amount of songs and subscribe to different music stations. The service is expected to go through some mayor changes in upcoming iOS updates to improve the user experience and grow its user base. Rhapsody offers a similar service to Pandora but for $5 a month you can enjoy the 32 million songs without ads and have unlimited skips. The service has been around for a long time however lacks the user base with currently just 2% market share when it comes to music streaming services.